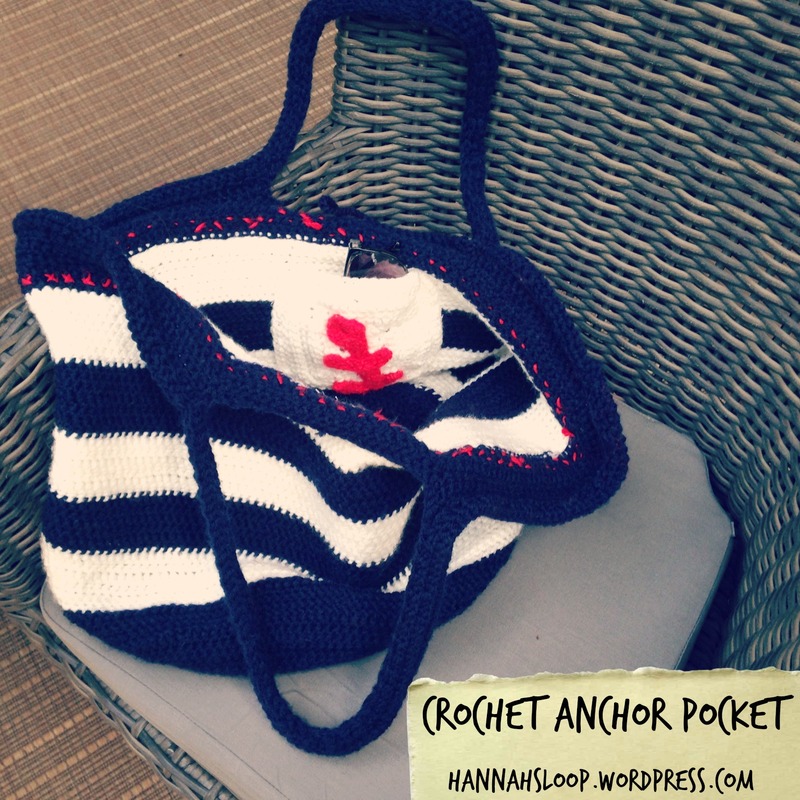 To finish off my nautical themed crochet bag, I crocheted an anchor pocket out of a granny square. Granny squares turned out to be much more difficult to make than I thought because it was hard to keep the corners even. However, this tutorial helped me out a lot, so I would recommend watching it if you also have trouble making a granny square. 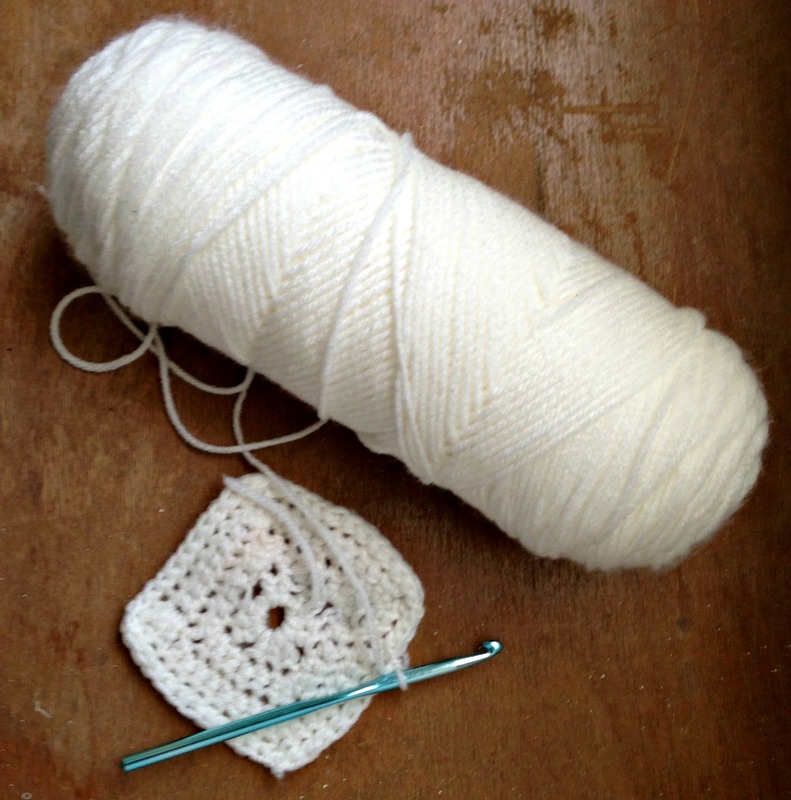 The first thing I did to make my pocket was crochet a basic granny square out of the white yarn. 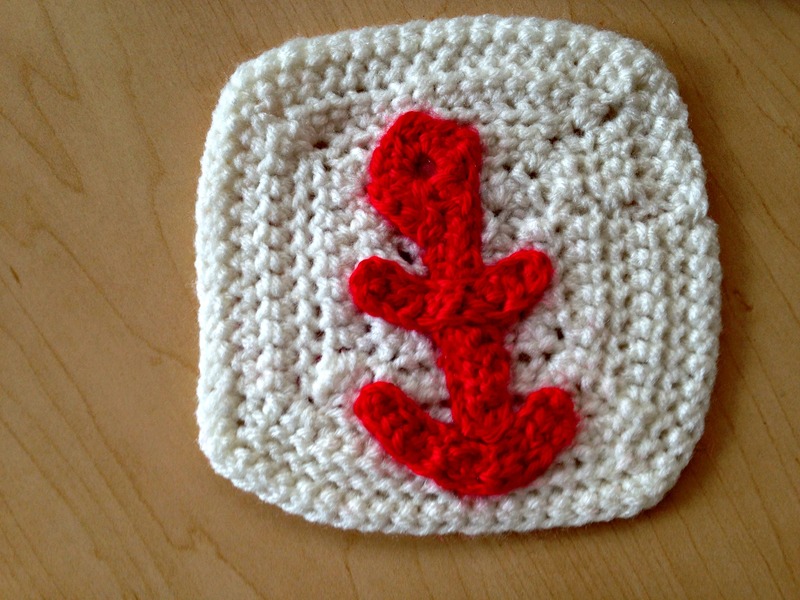 Then, I crocheted the various parts of the anchor individually, using this Anchor Crochet Pattern. 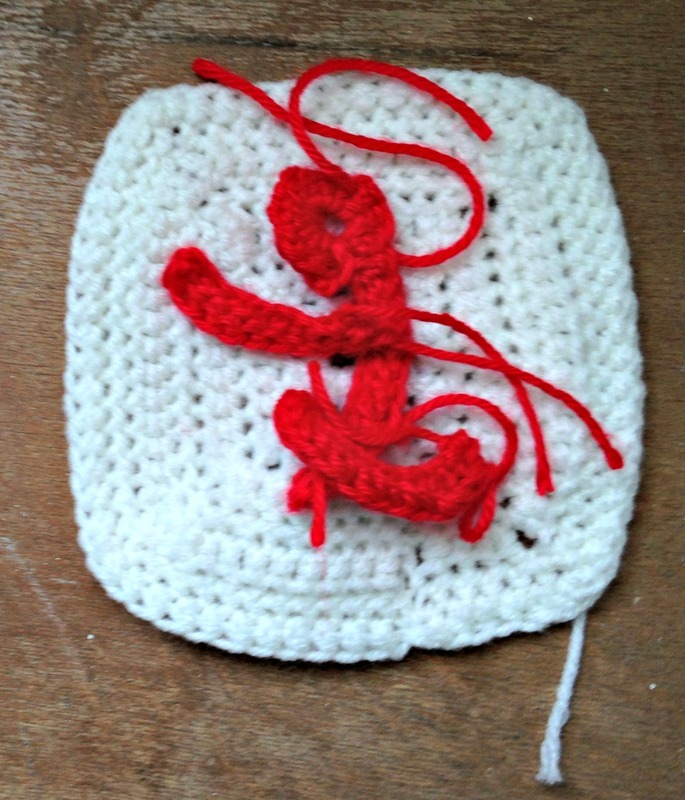 Next, I used my crochet hook and some extra red yarn to connect the various parts of the anchor in their desired places on the granny square. 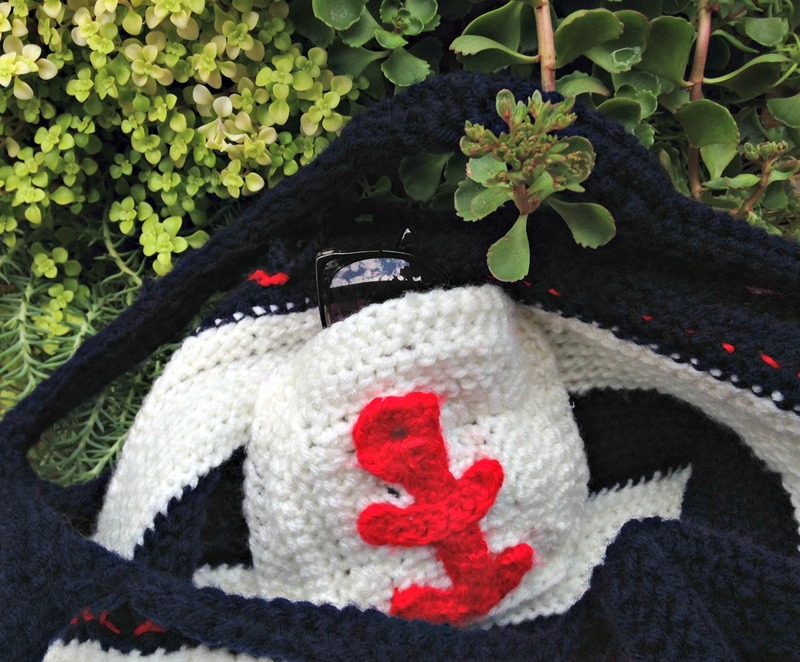 Lastly, I used the white and black thread to connect the pocket to the inside of the bag. I started with one color and when I got to the new stripe color, I tied the two colors of thread together to make sure that the thread did not stand out on the outside of the bag. I tied all the thread off, cut off any excess and that’s it! The granny square ended up being the perfect size to hold my cell phone or sunglasses.